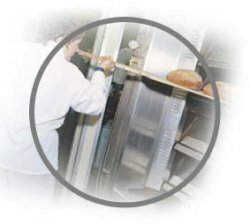 The main problems experienced by bakeries is due to sugar and starch clogging up your drains. You may already be experiencing drain flow and odour problems. You may have difficulties with grease traps, sump pumps on site, due to the grease build up and their associated odours. You may have already called the plumber out several times, only to experience the problems recurring. We can also help reduce BOD/COD levels in your waste water. Pre-treatment solutions can be developed to help reduce surcharges you may face from the water authorities. We already provide these products and services to bakeries around the world.